Richard, captain of the Olympic Park boat, is running in aid of the Any Old Irons Sporting Stories. Any Old Irons members will be meeting at the half marathon starting point by the ArcelorMittal Orbit prior to the race start at 9.30am. 4,000 runners will be taking part in this first ever 1/2 marathon which stays within the park boundaries. More info here. Zack Ahmed emailed us to say: “One of my colleagues at Public Health is working on a very interesting project with London School of Hygiene and Tropical medicine and Gateway Housing. 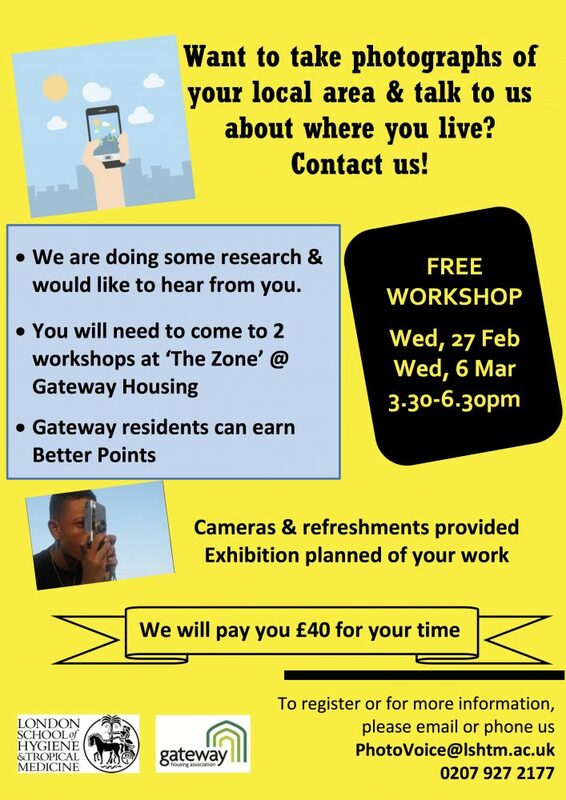 This is a participatory research project using a methodology called PhotoVoice that gets people to take photographs about a chosen topic and then curate an exhibition to speak to policy makers about the issue. See their flyer below for more info. A week ago the Times ran an article describing how the kiosks, which offer free calls, are not of benefit to communities. 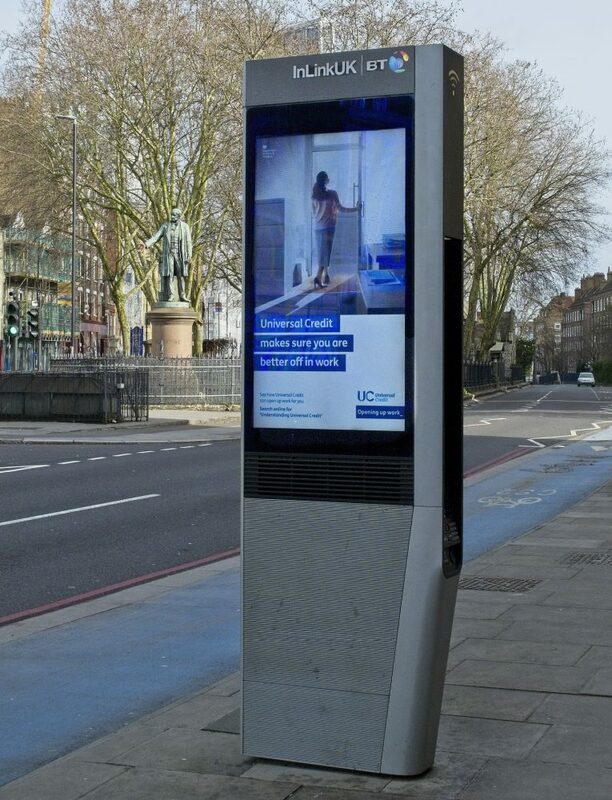 The kiosks are put up by InLinkUK which is backed by BT and Alphabet. Some councils are saying they simply blight streets with advertisements which avoid planning rules because the phones are a public amenity. The Met Police told Tower Hamlets Council that 20,000 calls to suspected drug dealers came from just five phone points in 15 weeks. Tower Hamlets has now suspended free calls to mobiles from these. A 12km route from Camden to Tottenham Hale, connecting through key destinations such as Seven Sisters, Finsbury Park and the Nag’s Head. This route would pass through the London Boroughs of Camden, Islington, Haringey and Hackney. A 3km route from Lea Bridge to Dalston. This route would pass through the London Borough of Hackney. Read the full article here. The email address to respond is at the bottom. The Speaker of Tower Hamlets Council will be holding a Civic Awards Ceremony in May. They are seeking nominations for people who live, work or study in Tower Hamlets. These are people who you think deserve recognition for their work or activities. The closing date for nominations is now 28th February. You can download the form (and more info) here.